2018 Luxury Belmont Champs Elysees in Paris, FRANCE! Bid Per Room Per Night and Choose Your Length of Stay! 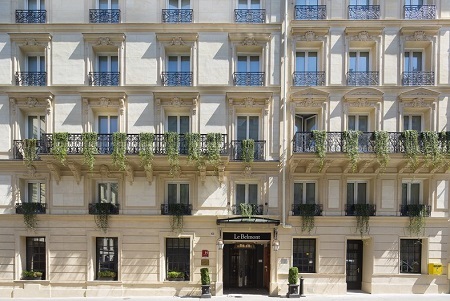 Belmont Champs Elysees is an ideal hotel for a stay in the city of light with luxury conveniences and unbeatable location. Sitting just minutes away from the hotel is the upscale shopping on Champ Elysees, the historic Arc de Triomphe, and the legendary Eiffel Tower, with other cultural attractions and landmarks easily reached by a short drive. The recently remodeled property offers 74 guestrooms and suites are designed with marble, fine woods, and lavish linens to offer a peaceful retreat in the city. 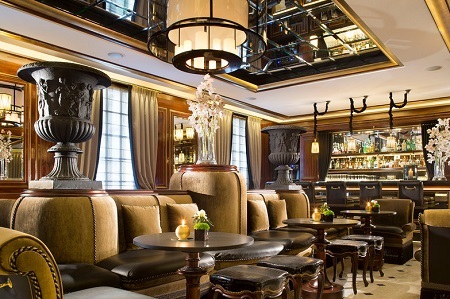 Belmont Champs Elysees boasts THE BAR and THE PARLOR to unwind after a day in the lively city. The venues offer an extensive menu of cocktails, French wines and champagnes, and matured spirits. 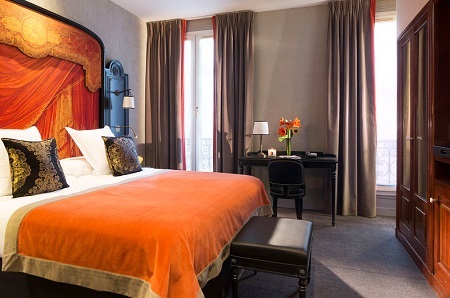 For a perfect Paris hotel, book a stay with Belmont Champs Elysees. Offer is based on a Single or Double Occupancy in a Classic Double Room w-Shower or Bath. Classic Double Room w-Shower or Bath (1 double bed or twin bed - 2 people maximum -soundproof -mini bar -Japanese toilets -shower or bath -safe -hair dryer -welcome tray with tea or coffee -air-conditioning -non-smoking -king size bed (180 cm) or twin beds (90 cm) -32" flat screen TV Area: 18-20 m² No smoking Air conditioning Minibar Soundproofed Safe Disabled amenities Telephone Private bathroom Hair dryer Shower Bath Flat-screen TV Wireless Internet access Radio Alarm. Stay for a minimum of 1 Night or up to 3 nights as desired and based on availability.